Fresh-pressed from 100% organic whole Concord grapes grown sustainably in the fertile wine country of Washington State. 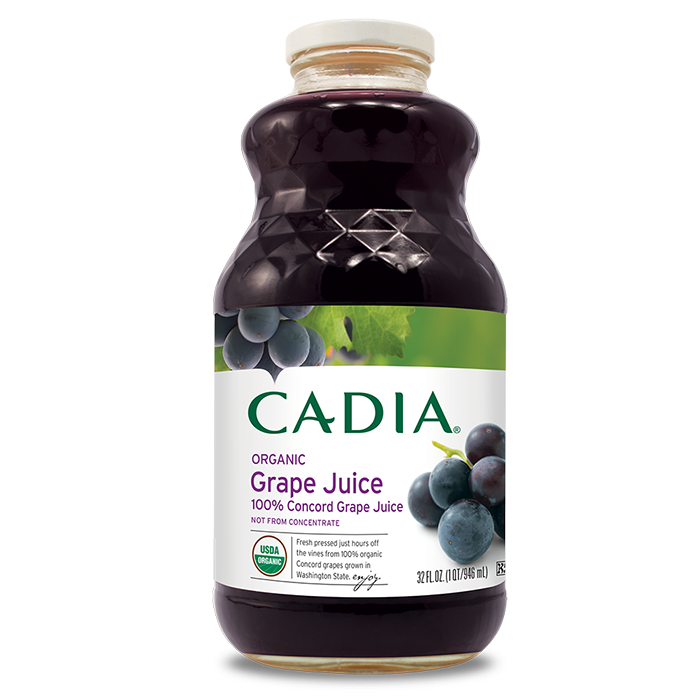 This juice is rich in antioxidants, with a deep purple color and a sweet, fresh-off-the-vine flavor. Pasteurized Juice from Fresh-Pressed Organic Concord Grapes. Nutrition values verified as of 3/17. Package updates to accommodate new FDA requirements are in process. Produced in a gluten-free facility. Variety is Concord grape juice, not from concentrate.